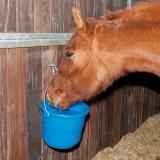 Provide ice-free water to livestock and pets during cold winter months. Do not set in direct wind or water may ice over during freezing temperatures. Provides quick, safe nourishment for "near-death" situations. Use to treat animals that are heavily stressed by parasites, weather, lactation or pneumonia. works great, even on the coldest days of new england winters. 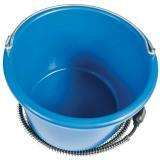 i like this style better than the rubber buckets with heaters due to the fact that these are easier to clean. 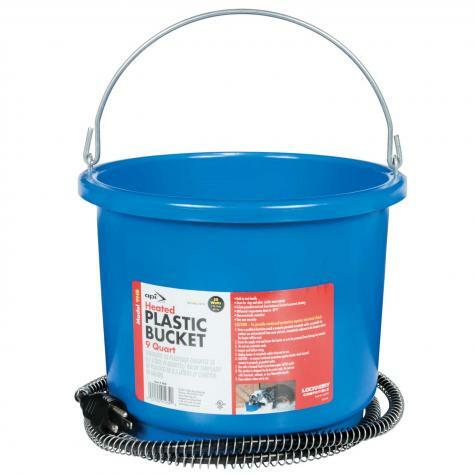 i use this with ducks, and this is the correct height for them to drink from. 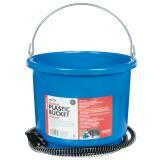 Great bucket, great value. It's a good size winter water source for a couple of goats or dogs and works well even in single digit temps.